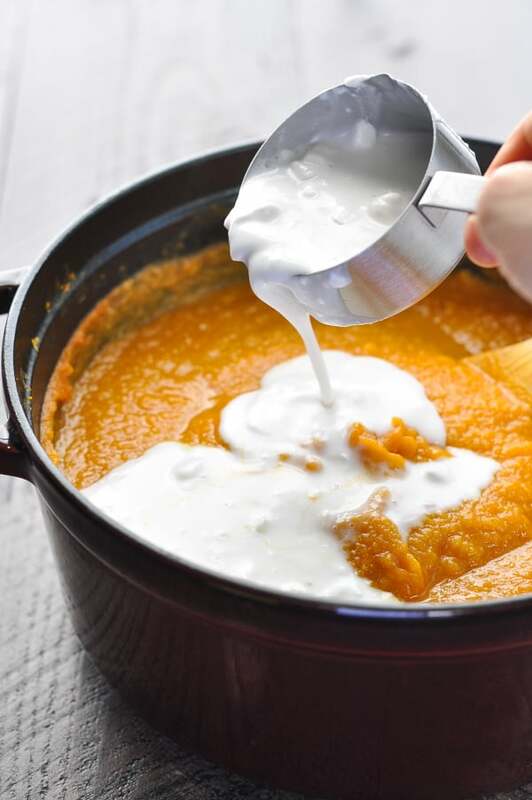 A simple puree of canned pumpkin, coconut milk, and warm spices comes together in this Healthy and Easy Pumpkin Soup! 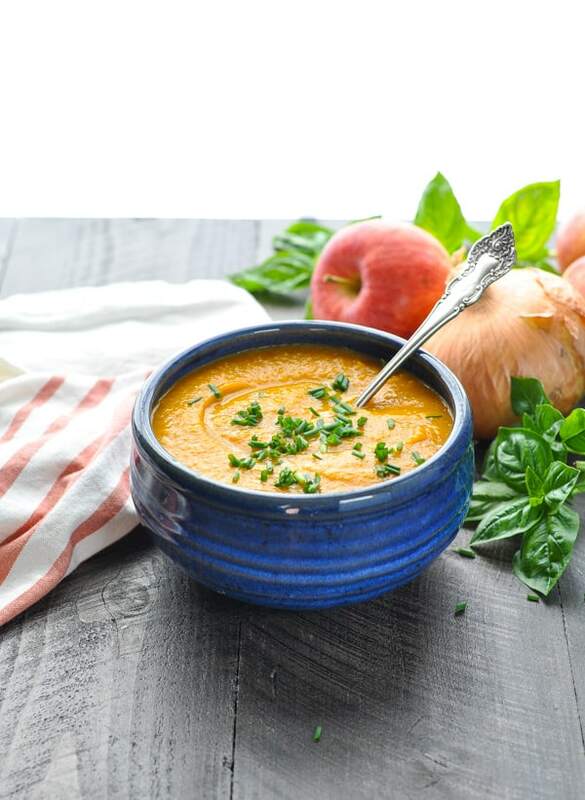 A simple puree of canned pumpkin, coconut milk, and warm spices comes together in this Healthy and Easy Pumpkin Soup. It’s a nutritious vegan dinner or an easy make-ahead lunch that is full of fall flavor! Clearly, I’m on a soup kick. 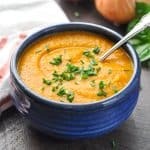 Whether it’s a Mexican-inspired meal in my Instant Pot, a simple 30-minute vegetarian option, or a big bowl of this creamy pumpkin soup recipe, I can’t think of a better comfort food at this time of year! 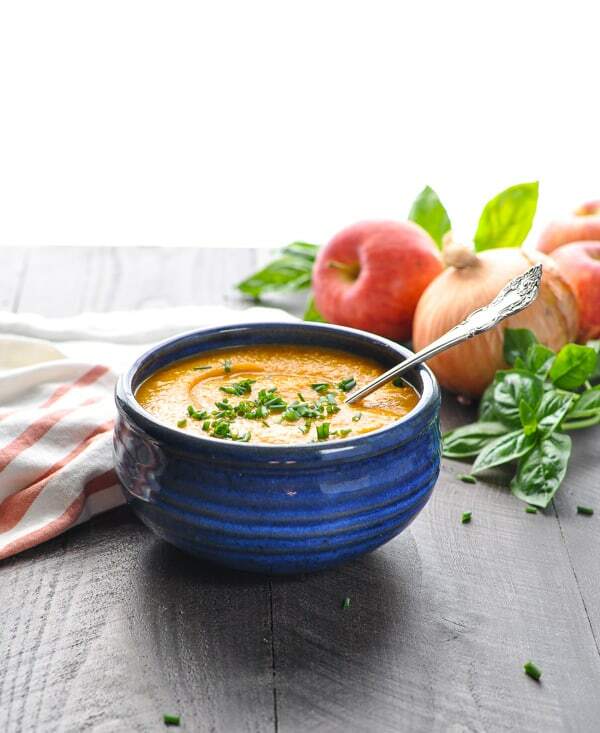 How do you make Healthy and Easy Pumpkin Soup? We eat soup or chili at least once a week when the weather is cooler because I can make it ahead of time, if necessary, and just store it in the refrigerator or freezer to be reheated at my convenience. I also appreciate that I can serve it with just about anything that my family loves…making everyone happy! 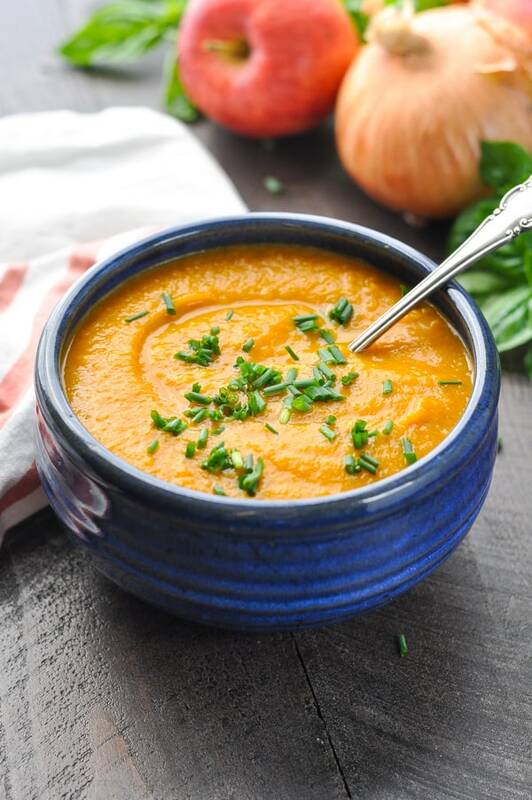 This vegan pumpkin soup is creamy yet healthy, thanks to the addition of coconut milk (but if you prefer a soup without coconut milk, there’s an alternative below). From the canned pumpkin to the cauliflower and onion, it’s full of nourishing vegetables and warm spices like garlic and ginger — with just a touch of sweetness from maple syrup. 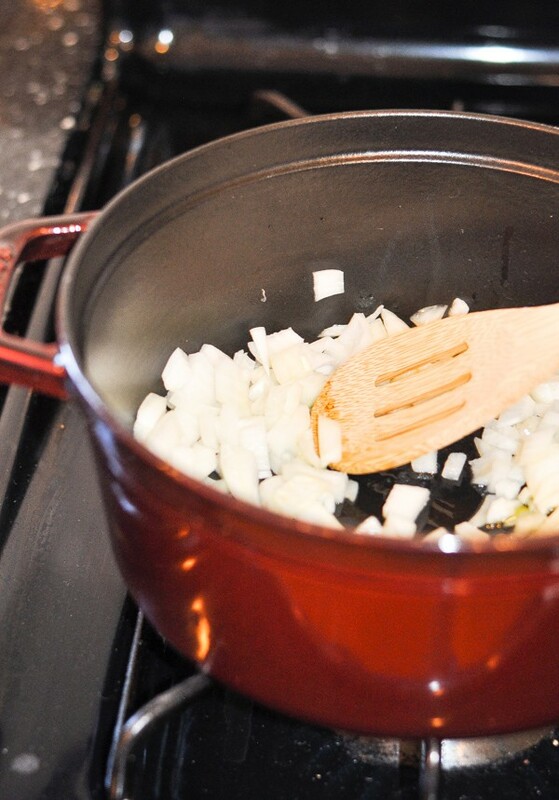 First, heat olive oil in a large pot and sauté the onion until it’s soft and translucent (about 5-10 minutes). Add the garlic and ginger, then the cauliflower, broth, and pumpkin. Bring to a boil, cover, and reduce heat to low. Simmer, covered, for about 25-30 minutes (or until the cauliflower florets are tender). Isn’t that easy?! 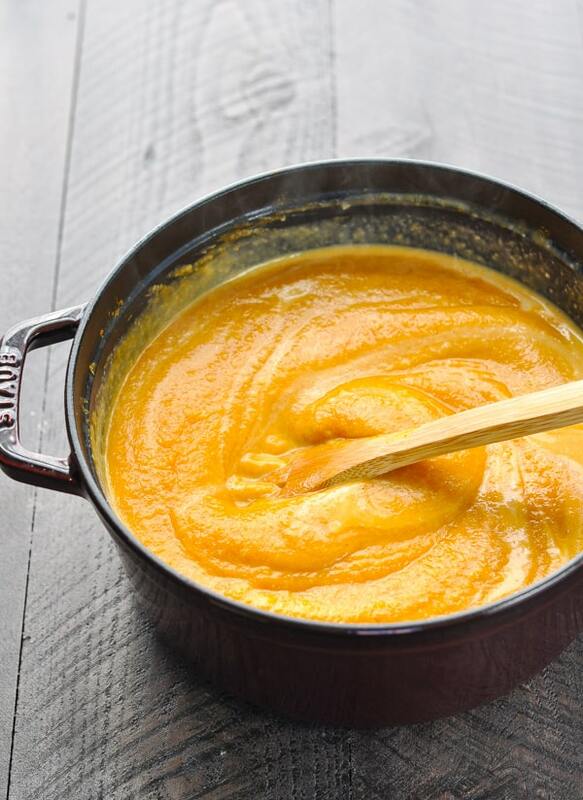 Use an immersion blender to puree the soup (or transfer the soup to a regular blender to puree). Next, stir in the coconut milk (or heavy cream, if you prefer a non-vegan option). Any chunks of fat in the coconut milk will instantly melt right into the soup for a perfectly smooth and creamy consistency! I recommend using full-fat canned coconut milk (rather than lite coconut milk) because it will give the soup a rich, creamy texture. You can substitute with lite coconut milk if you prefer, however. Shake the can of coconut milk before you open it! This will make sure that the fat mixes with the coconut water. You want to make sure that you get the creamy fat in your soup — not just the thin coconut water. This soup freezes well. Just allow the soup to cool to room temperature before sealing in an airtight container and freezing for up to 3 months. Use chicken broth or chicken stock instead of vegetable broth if you don’t need a vegan soup. Use heavy cream instead of coconut milk if you don’t need a vegan soup. 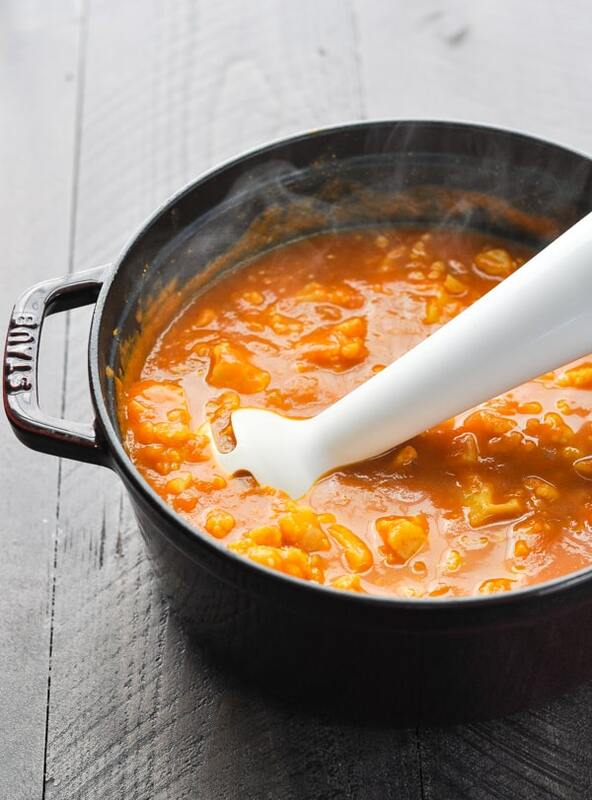 While this recipe calls for the convenience of canned pumpkin, you can substitute with about 1.75 cups of your own roasted pumpkin puree. Add a dash of cayenne pepper or a dash of cinnamon for a spicy kick. Substitute brown sugar for the maple syrup. Soup is nutritious and affordable comfort food that can be served as-is, or doctored up with toppings and sides to please everyone in the house. You can’t lose with this one! Heat oil in a large pot over medium heat. Add onion and sauté until soft and translucent (about 5-10 minutes). Add garlic and ginger and cook for about 1 more minute, stirring. 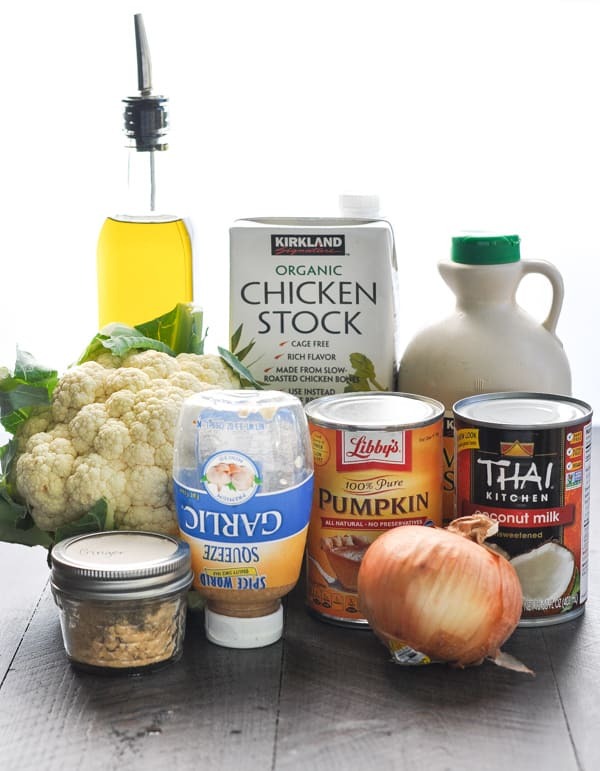 Add cauliflower, broth, and pumpkin. Turn heat to high, bring to a boil; cover. 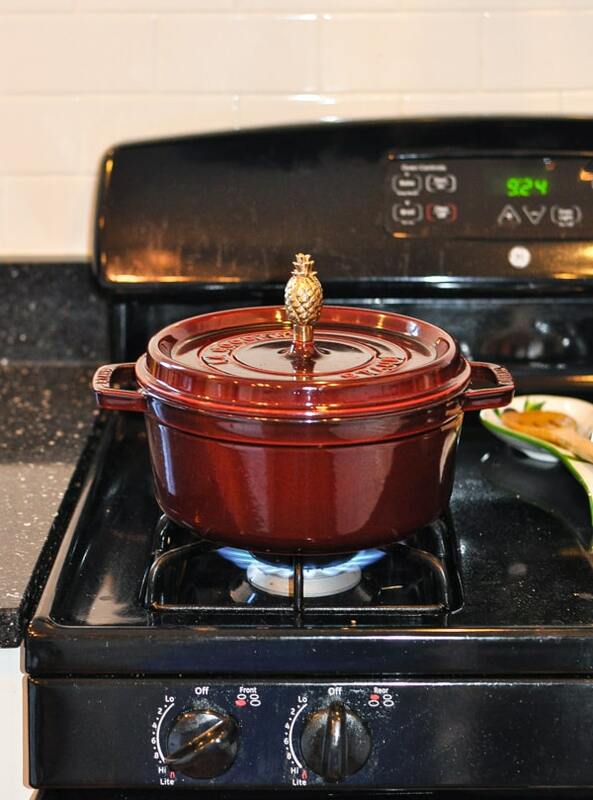 Reduce heat to low and simmer (covered) for about 20-30 minutes or until cauliflower is tender. Stir in maple syrup, salt and coconut milk. Remove from heat and use an immersion blender to puree the soup until smooth. If you don’t have an immersion blender, just transfer the soup to a large blender and puree until smooth. Be careful with the hot soup! Shake the can of coconut milk before you open it! This will make sure that the fat mixes with the coconut water. You want to make sure that you get the creamy fat in your soup -- not just the thin coconut water. Use chicken broth or chicken stock instead of vegetable broth if you don't need a vegan soup. Use heavy cream instead of coconut milk if you don't need a vegan soup. This recipe was originally published in September, 2015. It was updated in September, 2018. Blair, I love this soup! I could eat soup every single day, even when it’s 100 degree outside, as I just love it so much. I made a pumpkin version last year, but I will have to try yours out! I love how easy this is to make! I’m the same way, Gayle. LOVE soup. I also love that I can eat a lot of this and it’s filling but healthy! I love this soup SO much!! It looks simply delicious, and the perfect soup to enjoy for dinner as the nights start cooling off! Thanks, Anna! It’s a keeper! Yummy yummy! 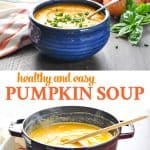 I love the addition of cauliflower to this pumpkin soup! And those big crunchy croutons on top. SWOON! Yummy! This soup looks so comforting, Blair! 🙂 Perfect for fall! Love your food photography! 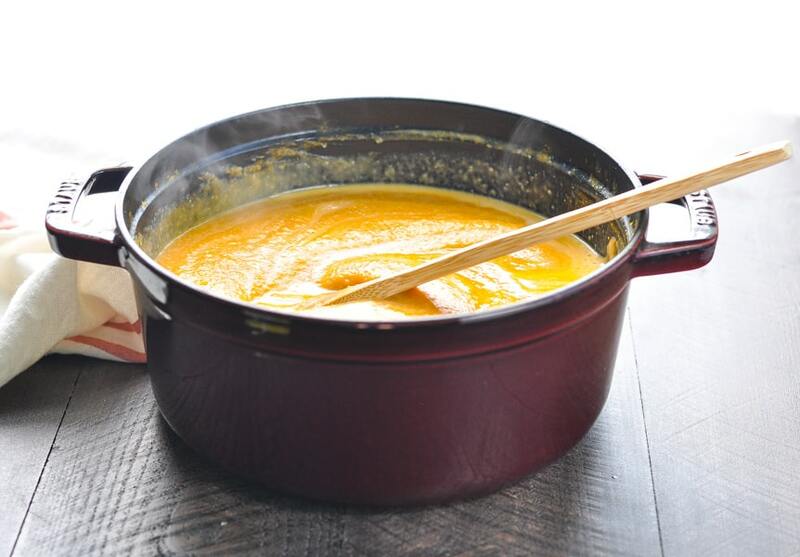 Pumpkin soup is the best, can’t wait to try your recipe! Love a good hearty bowl of pumpkin soup. This looks so yummy!!! Fabulous recipe!! I find I am making it every other week… I would make it every week but I’m already addicted to it as it is!!! I initially didn’t follow the recipe and used the whole can of coconut milk… lordy…now that’s just how it has to be!